New Delhi : Prime Minister Narendra Modi on Sunday rejected allegations that the government decision to provide 10 per cent reservation in education and jobs for the economically weaker sections in the general category was politically motivated with an eye on upper caste vote in the Lok Sabha Polls. Calling the charges as "illogical," the Prime Minister told BJP booth workers from Hatkanangale, Kolhapur, Madha, Satara in Maharashtra and from South Goa parliamentary constituencies that the decision has given sleepless nights to opposition parties which, he said, were spreading lies and rumours. "If our decision lacked strength, they (opposition parties) would not have had sleepless nights. Now they are spreading lies and rumours," Modi said, adding that the "historic" decision was taken in national interest. "Our government believes in 'sabka sath, sabka vikas'. For the first time such a decision was taken. They (opposition parties) did nothing for social justice, and when we did, they were caught sleeping. The Bill was passed (in Parliament) in just 48 hours," he said. He asserted that the decision was taken by rising above political lines, saying it was not possible without an amendment in the Constitution. "The existing reservation for SCs/STs and OBCs will not be disturbed. We are increasing 10 per cent seats in education institutions. This will open new doors of opportunities. A major section of the society will get justice," he said, urging the party cadre to counter aggressively the opposition's charge. "India conducts elections frequently in a year. By claiming that I decided to implement it for some election is illogical. If this decision had been implemented a few months ago, there would have been rumours that it was taken before Assembly elections in five states. So, rather than politicising it, everybody should be supportive of such measures," he said. 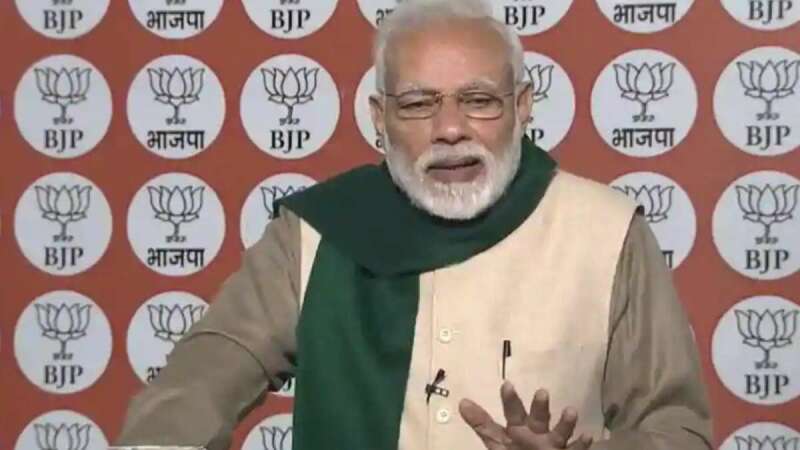 Responding to queries on the changes in the last five years, the Prime Minister said India has moved from a country making headlines for scams, power cuts, economic crisis, poor sanitation to schemes, electrification, high economic growth and an increase in sanitation from 38 per cent to 98 per cent. Talking to party' cadre of South Goa, he assured them that the Union government was exploring all legal means to resume mining in the state which came to a halt in March 2018 following a Supreme Court verdict. He said his government acknowledges the stress on mining dependents and the importance of mining to Goa's economy. Modi hailed ailing Goa Chief Minister Manohar Parrikar for taking the state to new heights of development and wished him a speedy recovery.